Fireworks have a long history in the collective culture and have been used for literally hundreds of years for a variety of purposes. For ceremonial reasons, they were used to draw prominence to an event or happening. There were also wedding specialty fireworks and incredible royal coronation displays. Today, these festive accessories are just as fun as ever and nearly everyone wants to know how to get their hands on the best varieties. There are currently many different types of fireworks that are available on the market and you can let your imagination go wild. Some popular types include fountains, wheels, roman candles and mortar shells, which can be fantastic to have on hand for all sorts of gatherings. These models have an abundance of different reactions when fired off, from twirling lights, multi-colored explosions and some that shoot so high up you could swear they reached the stars. One amazing option for sale that are full of power and well worth your money is called cakes. Cakes are a type of firework that is a multiple tube device that comprises of a series of candles or small aerial shells. One of our new models, like the Anger Management, which is a 24 second 16 shot burst multi-cake of stars with titanium and chrysanthemums. This model will get all of your frustrations out and blow them up in the night sky! Another new cake we offer is the Tiger’s Eye, this model offers up 36 shots of crackling palms, crackling stars, and giant gold willows with glittering stars. If you are not so into the loud bang, but enjoy a beautiful sight, we have a wide selection of fountains available for you. Our featured product is the Power House Cone. This fountain offers up a volcano effect of gold, green, or white sparkling showers that reach to the height of 3 meters! Another great fountain that we have available is the Mad Dog, a giant fountain that produces whistling red, yellow, and silver flames. The Mad Dog finishes off with gold and silver stars with colorful snaps. Some people might be worried that the cost of purchasing fireworks might be too high, but buying amazing firework packages doesn’t have to cost a lot of money, particularly if you know where to buy them! Great deals can be easily found when you purchase your firework bundles online. Online retailers sell a huge range of fireworks for both commercial and personal use, and you can quickly and efficiently make an order in minutes. The added benefit—the package comes straight to your doorstep and you get the convenience of shopping from the comfort of your home. 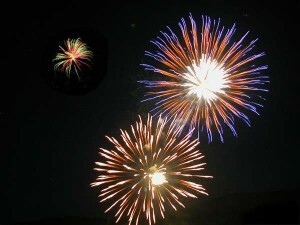 Enjoying a night of firework fun is something individuals of all ages can enjoy. In particular, when you know where to look for the best deals online, lighting a firework or two with some friends can be a great way to spend an evening or cap off a celebratory party. Visit Rocketfireworks.ca and try some new varieties and models to experience a whole new way to light up the sky, and you’ll have the makings of a night to remember. Previous story Choosing .NET Hosting: How Can It Benefit A Business?